Where do you go when you want to search something about how the Solar System was made? What is the exact location of Mt. Kinabalu? Why does Bane wears a mask? Or what are the latest news about your favorite celebrity? Of course most of you will never thought of going to a library and find a book to answer those questions. Most will open their gadgets, connect to the Internet and find the best answer to those inquiries using a search engine – and yeah, if you were born with the Web today, you prefer using Google. Google probably knows everything – from the specific milestones in world’s history to the summer photos of your neighbor in his online profile. Yes we know what Google does but how much do we really know about the search engine giant? Try searching “When was Google founded?” The result tells you that today is a significant date for Google. Today mark’s the 14th Founding Anniversary of Google Inc. The company filed for incorporation in California on September 4, 1998 with founders Larry Page and Sergey Brin. The rest was history. Talking about history, one unique and creative way that Google had been bringing us throughout their 14 years of existence is the frequent tweaks they’re making with the logo remembering world’s significant dates called Google Doodles. These pieces of art is a very unique way of remembering history – from the different events like the Olympics, festivals and global holidays to birthday’s of iconic people like scientists and celebrities throughout history and even Google’s official birthday every 27th of September. 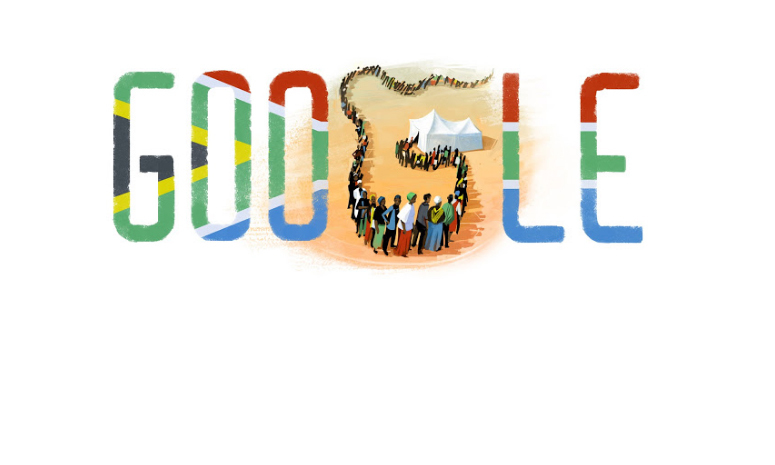 As our contribution to this significant day, we have collected some of the most remarkable and creative Google Doodles so far this year not just to remind you about important events in history but also to give you the creative kick you need today. We also incorporated some facts about Google as you go on browsing the doodles below. Enjoy! FLASH FACT: August 1998 | Sun co-founder Andy Bechtolsheim writes a check for $100,000 to an entity that doesn’t exist yet: a company called Google Inc. FLASH FACT: May 2000 | The first 10 language versions of Google.com are released: French, German, Italian, Swedish, Finnish, Spanish, Portuguese, Dutch, Norwegian and Danish. FLASH FACT: July 2001 | Image Search launches, offering access to 250 million images. FLASH FACT: January 2003 | American Dialect Society members vote “google” the “most useful” Word of the Year for 2002. FLASH FACT: November 2004 | Google’s index of web pages reaches 8 billion. FLASH FACT: February 2005 | A milestone in Image Search: 1.1 billion images indexed. Google Maps goes live. FLASH FACT: June 2006 | Gmail, Google News and iGoogle become available on mobile phones in eight more languages besides English: French, Italian, German, Spanish, Dutch, Russian, Chinese and Turkish. FLASH FACT: October 2006 | Google announces their acquisition of YouTube. FLASH FACT: August 2007 | Sky launches inside Google Earth, including layers for constellation information and virtual tours of galaxies. FLASH FACT: May 2008 | Google Translate adds 10 more languages (Bulgarian, Croatian, Czech, Danish, Finnish, Hindi, Norwegian, Polish, Romanian and Swedish), bringing the total to 23. FLASH FACT: February 2009 | The latest version of Google Earth makes a splash with Ocean, a new feature that provides a 3D look at the ocean floor and information about one of the world’s greatest natural resources. FLASH FACT: March 2010 | Google acquires Picnik, a site enabling you to edit your photos in the cloud, without leaving your browser. FLASH FACT: November 2010 | Google Voice debuts on the iPhone, and Google Instant comes to most smartphones. FLASH FACT: February 2011 | The Google Art Project lets you virtually tour 17 of the world’s best museums and explore high res images of more than 1,000 works of art. FLASH FACT: June 2011 | The Google+ project—real-life sharing, rethought for the web—launches. FLASH FACT: November 2011 | Street View goes places with special collections. Take a walk in the park or hit the slopes with a number of new public parks and ski resorts. FLASH FACT: January 2012 | Search plus Your World is the next step in transforming Google into a search engine that understands not only content, but also people and relationships. There you have it guys – some of the most creative Google Doodles which amazes us this year. Check out the archive of all the doodles in the Google Doodles page. Flash facts are lifted from the company history of Google. Tell us what’s your most favorite by commenting below. Find us on Facebook, Twitter and Google Plus for more updates. Don’t forget to subscribe to our blog for everyday design news and content.